“All that can be done is for each one of us to invent our own ideal library of our classics.” —from Why Read the Classics? Classics, according to Italo Calvino, are not only works of enduring cultural value, but also something much more personal: talismans, touchstones, books through which we understand our world and ourselves. 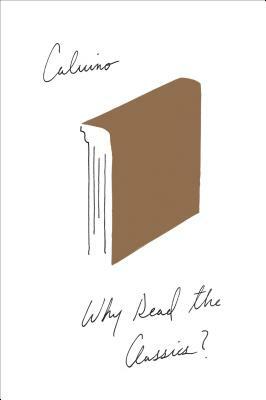 In Why Read the Classics?, Calvino shares over thirty of his classics in essays of warmth, humor, and striking insight. He ranges from Homer to Jorge Luis Borges, from the Persian folklorist Nezami to Charles Dickens. Whether tracing the links between Ovid’s Metamorphoses and Alain Robbe-Grillet’s objectivity, discovering the origins of science fiction in the writings of Cyrano de Bergerac, or convincing us that the Italian novelist Carlo Emilio Gadda’s works are like artichokes, Calvino offers a new perspective on beloved favorites and introduces us to hidden gems.